2012 blog post Fast-Food Photo Addendum). Welcome back. Although I’ll down a veggie sub if we’re traveling and trying not to dally, my visits to fast-food restaurants are primarily for coffee and their restroom. That’s not to say that I wasn’t a huge fan of all manner of fast food at one time. Years ago, I caught the health bug. I never doubted that I made the right choice, and a recent study leads me to believe that I reformed none too soon. Researchers from Boston and Tufts universities profiled menu offerings of 10 of the most popular fast-food restaurants (based on sales) over 30 years, 1986 to 2016. I won’t keep you in suspense. Yes, the restaurants have added some healthful items. Overall, however, their food was healthier 30 years ago. The researchers assessed changes in entrees, sides and desserts offered by Arby’s, Burger King, Carl’s Jr., Dairy Queen, Hardee’s, Jack in the Box, KFC, Long John Silver’s, McDonald’s and Wendy’s. Drawing upon The Fast Food Guide from 1986 and 1991 and online sources in 2016, they focused on the number of items, portion size, energy (calories), energy density, sodium and, though available for only 4 of the 10 restaurants, calcium and iron. Catering to or driving consumers’ tastes for the usual and the new, the restaurants increased the number of entrées, sides and desserts by 226% from 1986 to 2016. Portion sizes of entrées and desserts, but not sides, increased. On average, entrées grew by 13 grams (0.46 ounces) each decade and desserts by 24 grams (0.85 ounces) each decade. The amount of sodium in all three menu categories also increased, with entrées growing the most, on average 4.6% of the daily value each decade. Calcium increased in entrées and desserts, but not sides. On average, calcium in entrées rose by 1.2% of the daily value each decade and in desserts by 3.9% of the daily value each decade. While the change in calcium is certainly in the right direction, there are lower calorie, lower sodium sources that would be preferred. And that also applies to iron, which increased only in desserts, on average, by 1.4% of the daily value each decade. The study provides insight into how changes in fast food may be contributing to the problem of obesity and related chronic conditions. Then recognize that, if what’s consumed is an entree and side, the average calorie intake approaches 40% of a 2,000-calorie a day diet. Would you like a sugary beverage with that? Add 5% to 10%. How about dessert? 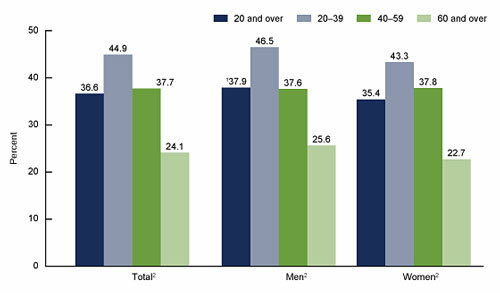 Lastly, realize that, in 1960-1962, about 13% of U.S. adults ages 20 to 74 were obese. By 2003-2004, that grew to over 30% and by 2015-2016 to nearly 40%. 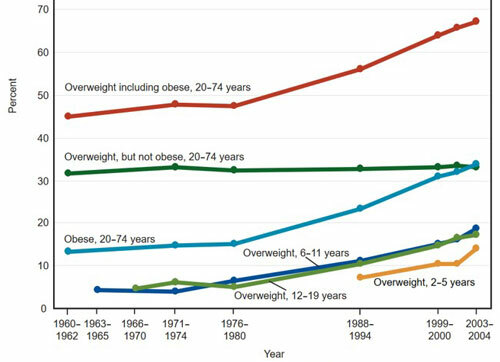 Percentage of US individuals, by age, who are overweight and obese, 1960-2004 (from www.cdc.gov/nchs/data/hus/hus07.pdf). 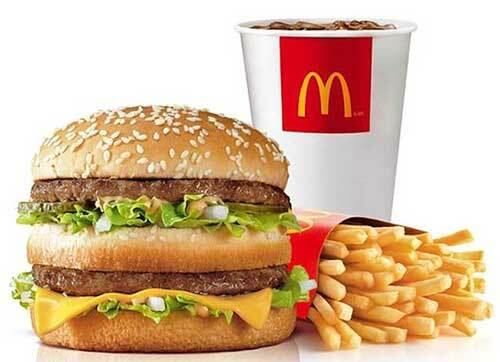 Fast food is part of the American diet, and it’s growing around the globe. The researchers posit that strategies are needed to help consumers reduce energy intake from fast-food restaurants. Short of spreading the health bug that I caught, what would you suggest?